An intriguing new easy to use package manager that takes a mixture of ideas from Component, Browserify and Go’s package manager. Building an AngularJS app? 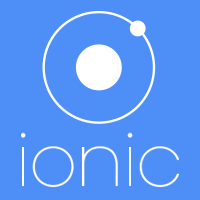 Get the Ionic team’s tricks for inspecting and controlling a running Angular app through the browser JS console. Test, modify, and even program an Angular app in real time! A simple, token-based authentication module for Angular with built-in support for Google, Facebook, LinkedIn, and Twitter’s OAuth providers, plus e-mail/password sign-in method. About half of the content is available in the early access e-book. Makes the window object localStorage available in both modern and old browsers for persistent synchronous storage. Learn database source control with this free guide: SQL Server Source Control Basics. Written by an MVP and 2 other, it has 295 pages full of worked examples, covering core ideas, tools, source control systems, and how to automate. Get your copy now.